A window that comes from the creative realm of “goodness”, miraculous power, ability, power of strength, a miracle in itself. Optimal strength added to and made perfect in one’s weakness. Optimization a process of 1 + 4 = 5. The Occlusion Connection. It is becoming clear that the Optimized Bite positions protocols with the support of the GNM Orthotic and proper occlusal adjustments amazingly moves the patient’s body standing posture to “orthogonial”, that is, it moves the alignment of the body head to foot toward a more correct relationship. Clinical proof is showing over and over again that the GNM occlusion is another OC key that makes this happen! Our OC Optimized bite doctors who are also involved in both athletics and clinical occlusal treatment have realized that the Optimized Bite™ concepts, protocols and teachings are more than finding some neuromuscular trajectory to position the bite with low frequency TENS. The trained dentists come to recognize the power of the bite and the proprioceptive needs of the CNS to calm the hyperactive system gives the body the necessary ability to balance and align itself with an energy that can respond instaneously at functional peak levels as well as allows the body to find a quality rest positions when desired. Dentist and patient’s have now realize from experience that it is way more than that standard NM (neuromuscular) protocols, but a reality of how physiology can actually work in a quality manner. It’s been clinically proven. 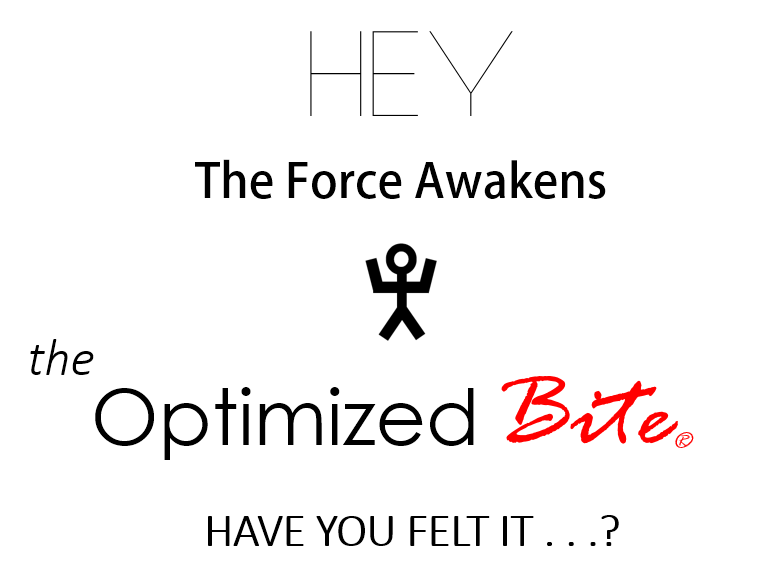 The Optimized Bite™ supports a very economical physiology which has shown maximum EMG functional clench scores with minimal EMG energy expenditure at rest. That is what all our TMD pain, cosmetic restorative and athletic clients have come to experience and feel. Most neuromuscular (NM) trained dentists have learned to capture a bite within some physiologic zone, typically down and forward of the habitual trajectory. Others have learned about a more anterior NM trajectory (sometimes identified as a Chan Scan concept, but never fully learned the complete technique and concept in total from Dr. Clayton Chan (originator, developer and pioneer of this scientifically proven bite recording protocol). With further private study, research and many years of testing this technique through trial and error, he has observed that the Optimized Bite produces consistent lower EMG patterns with quicker healing, recovery time in treatment than previous classical NM jaw positions. With the advent of the Optimized athletic guards more strength, power, endurance, flexibility have been confirmed and recognized with our OC trained doctors who have been applying these Optimized Bite teachings and techniques with their patient’s and athletes. This is what many of the OC doctors have discovered. Many can testify of these findings when measuring their patients jaw positions, EMG activities and also record improved before and after TENS muscle activity levels.